Take any soundfile and convert it to the ringtone that you ever wanted! 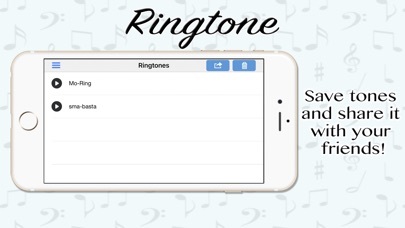 With the personal ringtone creator you can grab any soundfile or parts of it and use it as your personal ringtone. Or you can record your own ringtone with the microphone .... why not use your loves voice to wake up in the morning when you are on a business trip? With the Personal Ringtone Creator you have endless possibilities .... the sky is the limit! 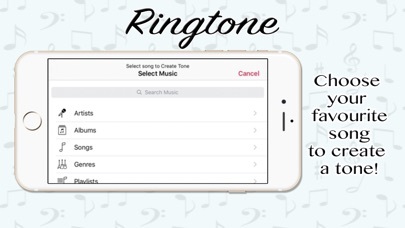 The Personal Ringtone Creator is straight forward and simple to use. > Now is the time to make sure that your iPhone is not set to silent! > The Play button in lower left corner allows you to hear what you just did. > Hit the record button and record what ever you like. > Make sure your iPhone is not set to silent! 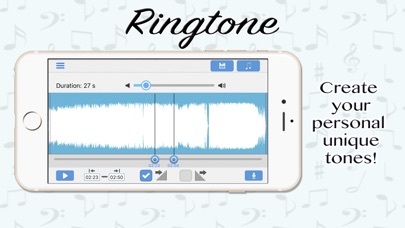 That's all you need to create your personal ringtone from any sound file or recording! We wish you a lot of fun with this app and hope you can live your creativity to its fullest! ΕΧΕΤΕ ΕΝΑ ΟΡΑΜΑ. ΕΧΟΥΜΕ ΤΟΝ ΤΡΟΠΟ ΓΙΑ ΝΑ ΤΟ ΚΑΝΕΤΕ ΠΡΑΓΜΑΤΙΚΟΤΗΤΑ.